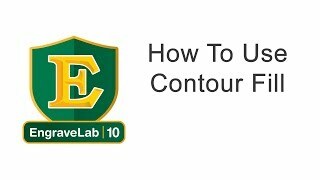 How to add contour with the Contour Fill tools in EngraveLab. Check out dozens of EngraveLab Videos on our YouTube Channel! Using PowerClip to edit shapes and more in EngraveLab. Using the Relief Fill settings in EngraveLab.